From 1900 to 1930, photographer Edward S. Curtis successfully and artistically photographed and recorded the daily life, traditions, cultures, and hardships of over 80 American Indian tribal groups. Curtis compiled over 40,000 images from native tribes all over the United States. The Tread of Pioneers Museum is the proud owner of twelve beautiful photogravure prints—a collection that any museum in the world would be proud to hold. So, how did this collection come to be at the Museum? Maybell, Colorado. As a result, Johnny’s son, Richard, then age 14,was sent to live with his aunt and uncle, Eunice and Ferry Carpenter in Hayden. 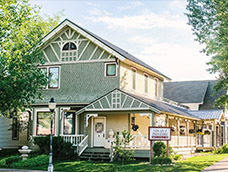 The Carpenters enrolled Richard at Perry-Mansfield Performing Arts School and Camp in Steamboat Springs where Richard’s passion for theatre was ignited. 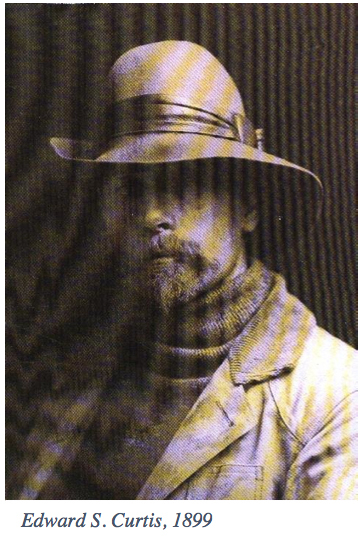 For over thirty years Johnny Pleasant and his son collected Navajo and Southwest Indian art (including the Curtis photogravures). The collection was stored in their log home, located near the present day Yampa Valley Regional Airport. When Johnny Pleasant died, the collection was bequeathed to his son. After graduating from Princeton (with the help of alumni Uncle Ferry) and serving in World War II, Pleasant joined with Lucia Chase in New York and opened the Ballet Theatre in 1939 (now known as the American Ballet Theatre). The Ballet Theatre was Pleasant’s brain-child and was unlike any other ballet company. Pleasant died in 1961 (at the young age of 52) and the Native American art collection was given to Richard’s uncle and aunt, Ferry and Eunice Carpenter. The Carpenters decided to gift the collection to the newly organized Tread of Pioneers Museum that same year. Since 1961, the prints have been preserved and periodically displayed at the Museum over the years. Currently, two of the twelve prints are on display in the Museum’s Victorian house. Through grants and donations to the Tread of Pioneers Museum, all of the prints have received the highest level of conservation and archival framing methods, conducted by a leading Curtis expert, Christopher Cardozo. The Tread of Pioneers Museum is proud to own the nationally significant Curtis collection. 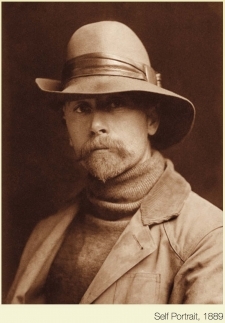 As part of our winter film series at the Chief Theater, on Jan. 13 at 7:00pm we will present a slideshow of the museum’s Curtis collection in detail before showing the Sundance Film Festival award winning documentary, "Coming to Light: Edward S. Curtis and the North American Indians". The film was directed by Anne Makepeace in 2000 and tells the dramatic story of Curtis’ life, his monumental work, and his changing views of the people he documented. The film also gives Indian people a voice in the discussion of Curtis’ images. As you will learn in the film, Curtis so deeply believed in his work that he devoted his life to it, which cost him his family and finances. Curtis spent his life cultivating relationships with tribal people, documenting their lives and recording their transition from traditional living to life on reservations. We hope to see you at the Chief for the rare glimpse of our entire Curtis collection and a chance to see this moving film. For the full list of films and dates in our Winter Film Series at the Chief, visit our website at www.treadofpioneers.org.